"IT WILL kill the commercial fishermen." That was the grim warning from ex-commercial fisherman Phillip Reid when he heard about the State Government's planned fishing reforms. The proposal, unveiled by Fisheries Minister Mark Furner yesterday, has widened the divide between the commercial and recreational fishers who call the Fraser Coast home. Mr Reid, who spent some time catching scallops in Hervey Bay's waters over his 30 year career, said his main concern was the the closures that could take place and the risk of over-regulation for commercial operators. "Now there's 300 boats on the coast, you create massive closures (and) all you're creating is pulse fishing," Mr Reid told the Chronicle. "I've seen 100 trawlers trying to trawl around in a football field. "It's disgusting, but they only do it because they're forced to." Mr Reid said the reforms would mean commercial fishermen would be "too regulated" and would make things more expensive coupled with fuel prices and vessel monitoring systems (VMS). "It's an absolute disaster," he said. "I'm semi-okay with the zoning side of things, to a point. "The problem I find with the zoning... is that it's the boat history that creates the licence and the area where you will be, but it's the skipper." Some recreational fishers have also voiced their concerns about the proposal. 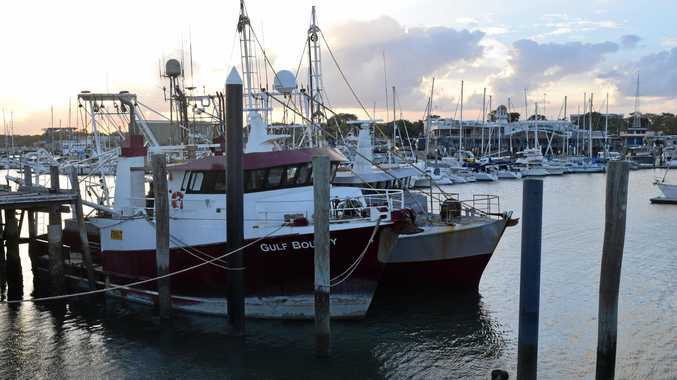 Paul Hunter, a recreational fisherman in Hervey Bay, said he couldn't see any changes happening with the industry in the near future and the area was "very overfished". "It should have been zoned before the closures," Mr Hunter said. Poona fisherman Stan Ray said there was not enough information about the reforms available yesterday. "The status quo is sustainable, we have good and lean years... (but) a lot of us don't know what's going on," he said.